Closeouts. 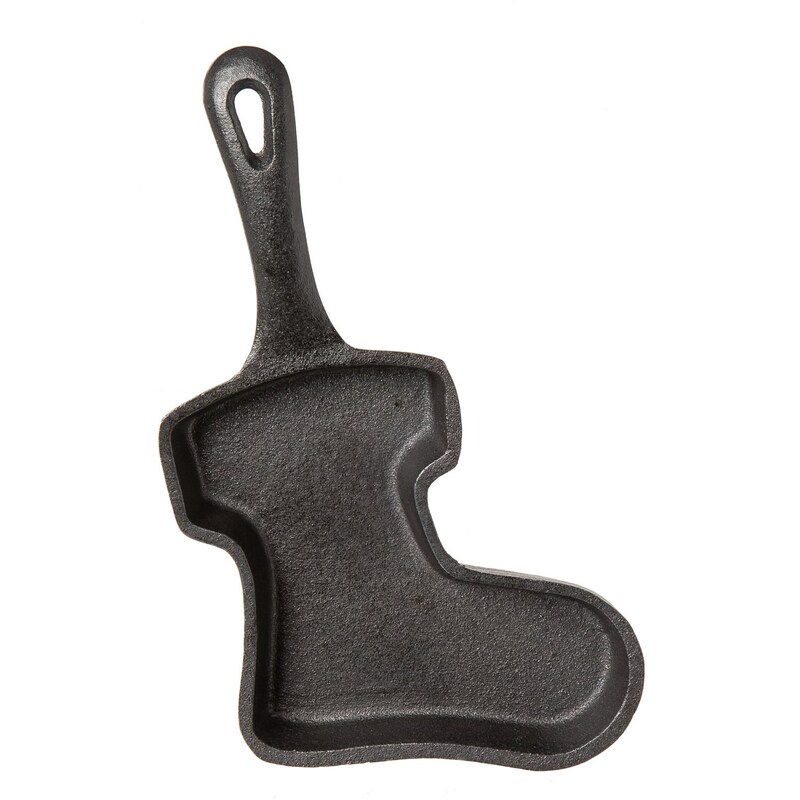 Make delicious desserts, breads, muffins or cookies in the shape of a stocking with this Masterclass Mini Stocking raw cast iron pan. Great for gifting or decoration, too!